1939 may have been the best year for movies, but it was 24 years before I was born. Every year has some good movies, a few classics and a whole lot of dreck. For every Godfather there are ten Green Lanterns. Every time I fall in love with a great film, I end up being disappointed by something that fails on too many levels to even call it a movie. But movies are a big part of who I am. I was the kid who walked to the El Cajon Theatre every Saturday to see the latest offering. It never dawned on me that getting out of the horrid East San Diego County summers would open up a world, or several of them, where I could get lost. With the Academy Awards coming up, the discussion usually turns to what is the best film this year and what are the best films of all-time. Well, according to the internet, it’s 1939. I read articles by critics I respect and the year 1939 keeps coming up. A lot. I mean frequently. Kind of like a cult has formed around it. I get it, Dorothy, a house falling on the mean girl, some gorgeous technicolor and everybody thinks The Wizard of Oz is one of the greatest films of all-time. Okay, maybe they’re right on that one. Oz is amazing from start to finish, and it holds up just as well now as it did the first 60 times I watched the thing. But the was more than one film released in 1939, and since I was not alive to see them on the big screen for their original run, some of the impact is lost see classic black and white films a 21-inch television. So we’ll give 1939 points for being awesome. Being the height of the studio system and the last creative year before a world war broke out that stunted the creative forces. But I like the year I saw films that had a lasting impact on my life that lasts to this day. The year I was old enough to drive myself to the movies, and not have to have my parents take me. Or worse, walk in the unforgiving El Cajon sun. The year I graduated high school: 1981. Now, before everyone starts writing on there blogs that I’m an idiot, and clearly I meant 1982, because, well, Blade Runner came out in 1982 and I must love Blade Runner. Well, yes, I do. One of my favorites in fact. I’ve seen so many different versions, I don’t know which is my favorite, but I remember being one of ten or twelve people in the theater, totally transfixed by the dystopian hellscape and destitute motif of the thing. Another thing going for 1982 is Star Trek II: The Wrath of Khan, or as I like to call it, the only good Star Trek movie. But 1981 holds a place for me, since it was the year I saw foreign films, horror, drama and comedy in equal measure. Fast-paced action and meticulously-paced drama. It was the year I went from being the kid who grew up watching any b-movie that came on at 2:00 a.m. to the guy who sought out movies that people who loved movies would talk about, line up to see and remember always. Here are my favorites from the best year in films. Well, for me it is, anyway. A gripping film about the experiences of a U-boat in World War II. War was Hell on both sides, even for the bad guys. But the human emotions of the German sailors comes through loud and clear in one of the best war films ever made. Cramped visuals, taught storytelling, Wolfgang Petersen is on top of his game. He made the similar feeling Air Force One years later, but it doesn’t capture the same feeling of impending doom. Jurgen Prochnow is brilliant as the captain. Due to the extreme camera noise from the cramped shooting, the film was shot silent, with the actors dubbing their dialogue after filming ended. You can sum up Evil Dead one of two ways. First is the rundown you’d get on the back of the DVD box: Five college students find a mysterious book in the old wilderness cabin they’ve rented for the weekend. When they unwittingly unleash a demonic force from the surrounding forest, madness ensues. Or, you can sum it up the right way: Sam Raimi is a genius and Bruce Campbell’s chin deserved a friggin’ Oscar! The year’s Best Picture winner at the Academy Awards and deservedly so. 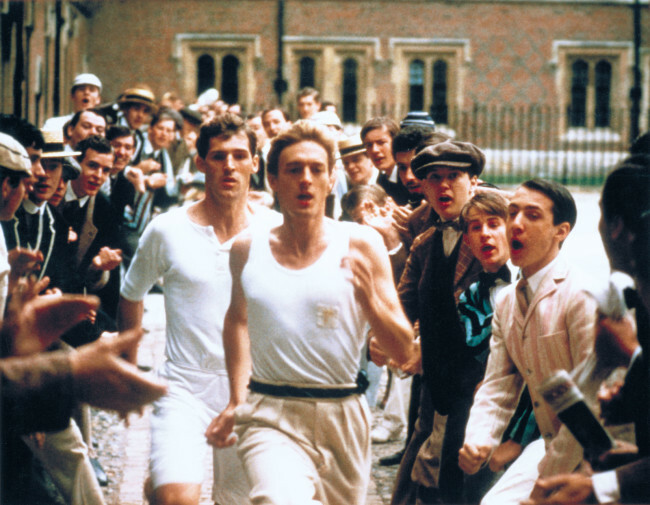 Hugh Hudson directed this story of two athletes at the 1924 Olympics. One is a devout Christian missionary, the other a young Jewish man, determined to make his mark in the world. There’s historical significance here, but that doesn’t mean it’s a dull ride. Some years, the best picture actually wins the Best Picture Oscar. This was one of those years. Director Peter Weir does a brilliant job here. It’s a tragic story of young Australian men heading off to war, full of romantic dreams of glory. As part of the ANZAC forces in World War I sent to fight the Turkish army at Gallipoli, they’re soon met with a harsh reality. The battle was brutal, and by the time it comes up in the film, you’re invested in these characters and their young lives. Two American college students are on a walking tour of Britain and are attacked by a werewolf in what is the high point of John Landis’ career. One is killed, the other is mauled, the werewolf is killed by the gang from the local pub. Since a dead werewolf looks like a dead human, well, nobody will acknowledge its existence. The surviving traveller (David Naughton, also at his best here) starts having nightmares of hunting on four feet at first only to discover his friend and other recent victims appear to him, demanding that he commit suicide to release them from their curse, being trapped between worlds because of their unnatural deaths. The special effects haven’t aged well, but the story is solid and you can never get enough gore. Indiana Jones is a professor and an adventure-seeker. A museum curator named Marcus Brody sends him to find The Ark of the Covenant. World War II is on the horizon. Steven Spielberg’s homage to all the b-grade adventure films of his youth is nothing short of brilliant. Raiders made it fun to go to the theater. There was action, adventure and Nazis on the screen. Oh yeah, and snakes. Indy hates snakes. In the center of the Cold War, Stripes came around to make everybody laugh at the military. Bill Murray and Harold Ramis are buddies who join the Army and prove to be less than ideal soldiers. When their drill sergeant is injured, the two (along with the rest of their unit) fail upward. They’re shuttled off to Europe to showcase the Army’s new Urban Assault Vehicle. Give Murray any excuse to be Bill Murray and you can rest assured that laughs are on the way. Throw in Ramis, John Candy, John Larroquette and let Ivan Reitman direct and you have the year’s best comedy. 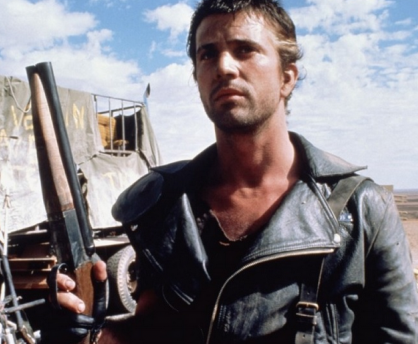 Mel Gibson stars as former Australian policeman, Mad Max, now lives in the post-apocalyptic outback, eeking out an existence. A horde of barbarians is out to overtake a gasoline refinery, and slaughter its inhabitants. Director George Miller keeps thing simple: Action, more action and the a bit more action. Oh yeah, there’s broiling heat and desperation too. Injustice and violence are a fact of life, but there is always hope in the mad dash to freedom. Any time the word “Muppet”appears on the marquee, count me in. Warren Beatty tells the story of John Reed, a radical American journalist runs head first into the Communist revolution in Russia. Filled with the spirit and idealism that only comes during a revolution, Reed heads back home to the United States in the hopes of spreading the revolution stateside. Great cinematography and a captivating story move this film forward. Every punk, reggae or New Wave band with a pulse is here, some great, some not so much. What makes this a can’t-miss film is seeing XTC playing “Respectable Street,” because they stopped appearing live shortly after being filmed. Joan Jett and the Blackhearts, The Police, the Go-Go’s, Wall of Voodoo and Oingo Boingo are all great. The Surf Punks and the Au Pairs are not. Sets by X, Devo and Dead Kennedys keep the energy high. Concert films are always a mixed bag, but any time the Fleshtones and Gary Numan make an appearance, it’s reason enough to search for a copy on dvd, if such a thing exists. The most suspense-filled film of the decade. Kathleen Turner and WIlliam Hurt star in Lawrence Kasdan’s film about a Florida lawyer, a passionate affair, murder and plenty of cover-up. Set in the 1910’s New York, Ragtime tells the story of Coalhouse Walker Jr. an African American piano player with talent to burn. Walker has won fame and fortune playing with a jazz band at the height of the ragtime craze. Because racists are idiots, a group of envious white guys harass Walker and damage his car. Justice around the turn of last century was a far cry from equal. Milos Forman directed this well-made film about music and racial tension. As a side note, this is James Cagney’s final role for the big screen. He was in a TV movie, Terrible Joe Moran, a few years later. But after his stroke, Cagney was never the same. Here, he was in fine form. John Waters is a sick, twisted human being. I’ve always meant to thank him for that. Perseus is the favored son of the god Zeus, but he unwittingly ticked off Thetis, the sea goddess and unleashed her fury. Perseus falls in love with Princess Andromeda, who was once engaged to Thetis’ son, but he got all sorts of uglied up, so she dumped him. All of that is swell, but the reason to watch this film is simple: It features the talents of Ray Harryhausen. 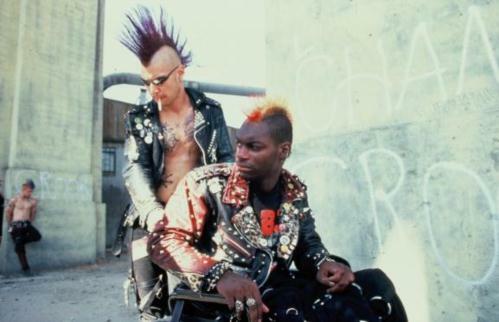 The dark underbelly of Los Angeles and the punk rock scene bubbling to the surface is captured by director Penelope Spheeris. Made on no budget in the late 70’s, bands such as the Germs, X, Black Flag, Catholic Discipline and Fear perform live and local scenesters talk to the camera. Some of what they say is profound, some of it hideously racist and/or misogynistic. It’s a gift to see and hear a part of music history that was brimming with possibilities and gone in the blink of an eye. The D.I.Y. attitude propelled the music further than the level of talent, although there are quite a few great bands caught on film. All these years later, it is still tragic to see Germs singer Darby Crash talk; knowing he will die soon, and in a tragic way. Homeless kids, misfits and outcasts caught on film in an era when not everyone had a camera.